The Asean Economic Community (AEC), a huge common market of $2.6 trillion and more than 622 million people, is not without its disparities. The AEC with 10 Asean countries is a hodgepodge of least developed, developing and developed nations all vying for a common market with a free-flow of goods, services and labor. As Cambodia aspires to graduate soon from the list of least developed countries with a stable GDP growth of seven percent a year, it hopes to attract more foreign direct investment from its rich Asean neighbors through the AEC. 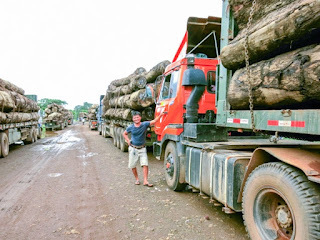 In the meantime, however, the Kingdom has to grapple with a large outflow of mostly male unskilled labor moving across common borders to work in Thailand, Malaysia and Singapore and also in Vietnam-owned logging companies operating at the Cambodia-Laos and Cambodia-Vietnam borders. As travel becomes easier the number of migrant workers moving across borders in the region also expands, further increasing the risk of the spread of multi drug-resistant malaria which is endemic in Asean member countries in the Greater Mekong Sub-Region (GMS), namely Cambodia, Thailand, Laos, Vietnam and Myanmar, formerly known as Burma. Of the four species of malaria parasites transmitted by mosquitoes, Plasmodium Falciparum carried by mosquitoes in the Anopheline family is the most dangerous and accounts for more than 50 percent of cases and most deaths in the GMS. The World Health Organization (WHO) is worried that falciparum malaria could become untreatable with currently available drugs within a few years. Artemisinin combination therapies, or ACTs, are the most effective treatments for this deadly form of malaria, but the WHO is documenting fast-growing resistance against these antimalarial medicines in the GMS. To date, resistance to artemisinin-derived antimalarials have been confirmed in Vietnam, Laos and Myanmar since resistance was first detected along the Cambodia-Thailand border in Pailin in 2004. The presence of mutations linked to delayed parasite clearance seems to be either spreading or popping up independently in the GMS. The Asean Economic Community will see both legal and illegal migration, of young adult males who are generally poor, to the neighboring rich Asean countries as it is the poorest who cannot earn enough to support their families in their countries of origin. It will be workers moving across borders from countries with high malaria prevalence to countries with zero or low malaria cases. What is alarming is the movement of asymptomatic carriers of malaria, those carrying low levels of the parasite in their body – enough to infect mosquitoes to spread the disease – but not showing any signs of sickness. People develop an acquired immunity to malaria in areas where there is a high incidence of the mosquito-borne disease and they are walking time bombs, not showing symptoms and spreading the disease widely. Cambodia’s National Malaria Centre (CNM) has documented asymptomatic cases in Pailin, Battambang, Oddar Meanchey and Stung Treng provinces – all former Khmer Rouge strongholds where Chinese-supplied artemisinin monotherapies, not combined with a partner drug, were used indiscriminately to treat all forms of malaria. That malaria parasites in Cambodia were already resistant to artemisinin in the late 1970s and 1980s, would come as no surprise. Border screening of mobile migrants by health officers at immigration checkpoints is a good way to detect malaria infections and prevent the disease from spreading. But realities need to be taken into account. While many official border crossings and check-points are available at Asean’s contiguous borders, they, however, are only popular among tourists, traders and frontier workers. The majority of cross-border migrants use the natural border crossing points, walking across the mountains or wading across narrow rivers that divide the nation’s borders. Despite the development of legal migration channels, they are currently not affordable or accessible to most migrants. So migrants continue to cross the borders illegally to work as undocumented workers in the host country. This makes it difficult to measure the actual migration volume. For instance, after the harvest season in Cambodia, many farmers in Stung Treng province would cross the border illegally into Laos to work as part-time loggers for companies making high-end rosewood furniture. Rosewood can fetch thousands of dollars per cubic meter and loggers can earn hundreds of dollars working for Vietnam-owned companies making luxury wood furniture. Between 2000 and 2010, Laos significantly reduced its malaria burden and was on track to achieve the World Health Assembly target of cutting the malaria burden by 75 percent by 2015. However, in late 2011, according to the WHO, malaria outbreaks began to flare up again, mostly in Laos’ southern provinces bordering Cambodia. Little knowledge, less awareness and self-treatment with counterfeit or sub-standard drugs purchased over the counter are important factors that need to be addressed, by both the WHO and national malaria programs, coupled with international funding for cross-border active disease surveillance, if progress is to be made in containing the spread of artemisinin resistance and eliminating malaria in Asean and the GMS. The movement of infected people from areas where malaria is still endemic to areas where the disease had been eliminated can lead to a regional resurgence of the disease. Sonny Inbaraj Krishnan studied in the Liverpool School of Tropical Medicine in the UK and worked on malaria in Cambodia for the World Health Organization from 2010 to 2014. The views in this opinion piece are his own.